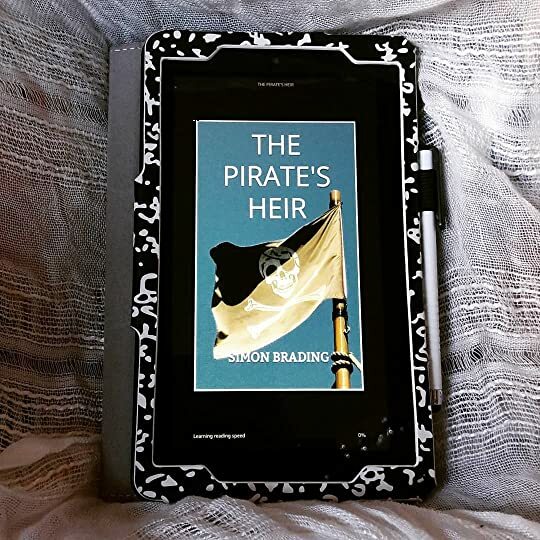 Pirates and time travelers and dangerous adventures – oh my! Sam Vives’s day couldn’t have gotten more complicated. He’s bullied by kids at school, picked on during his fencing classes AND he’s suddenly the captain of a pirate ship in the 1700s. That’s right. We’re talking time travel. Sam doesn’t know it yet but he is a Displacer (someone who can jump in and out of the past). Uncle Andrew can do that too and has been patiently waiting to see if his nephew has picked up the family gift. Only, Sam displaces before his uncle could explain. The famous captain wants to retire and decided to assemble the most bloodthirsty and ruthless pirates around to find his successor. Very fast-paced and fun to read – a wonderful middle-grades/YA book! With thanks to Simon Brading for a free copy in exchange for an honest review.